KMAC history starts with Mr. Andrew SE Erickson who is instrumental in the locating, cultivating and retaining this first site. Grandmaster Jung and the original core of black belts are in debt to the vision of Mr. Andrew SE Erickson and Andrew’s family. 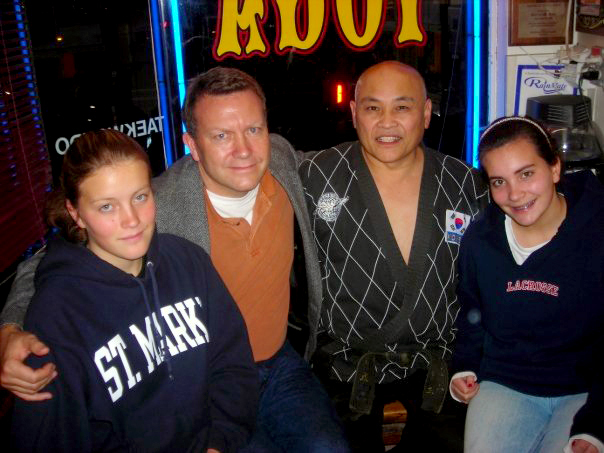 Mrs. Erickson (mother) painted the first KMAC sign and his brother Joel Erickson transformed the interior of the dojang. Our first dojang mat of 700+ft was handmade, compiled with layers of newspapers, used carpets and a stretched vinyl cover famed-in with 2x2s. We are looking back to December of 1983 and the Grand Opening in January of 1984 with the presents of Dojunim Ji Han Jae (Sin Moo Hapkido Founder), an opening ceremony with a lion dance to chase away the evil spirits and KMAC was blessed ever sense. We thank Andrew (Andy) and his entire family for the full support. *Mr. Andrew SE Erickson, State Department Official, United States of America. weapons training, and Tai Chi.